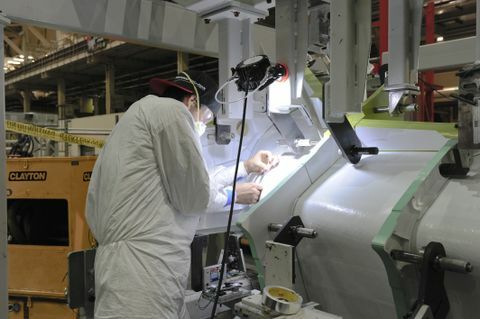 National Manufacturing Day is a nationwide effort led by the Department of Commerce, during which businesses across the country open their doors to exhibit manufacturing expertise and to address the skilled labor shortage in manufacturing and its significance to the U.S. economy. It is also a celebration of modern manufacturing that serves to inspire the next generation of manufacturers. 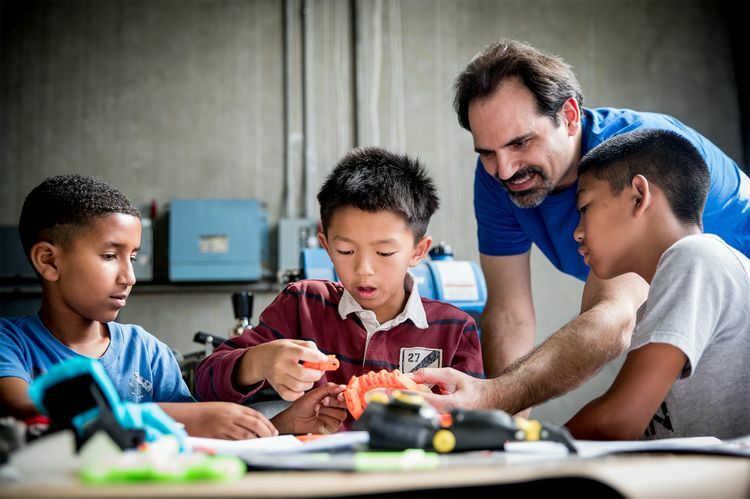 Northrop Grumman engineers across the company celebrated the day by teaming up with local students to 3-D print and assemble prosthetic hands for children around the world. Many such children face difficulties with traditional prosthetics because they frequently outgrow them. Major Northrop Grumman sites hosted prosthetic hand assembling events, while simultaneously teaching students about exciting career opportunities in manufacturing and science, technology, engineering and mathematics (STEM) fields. Northrop Grumman celebrated National Manufacturing Day by teaming up with local students to 3-D print and assemble prosthetic hands for children around the world. 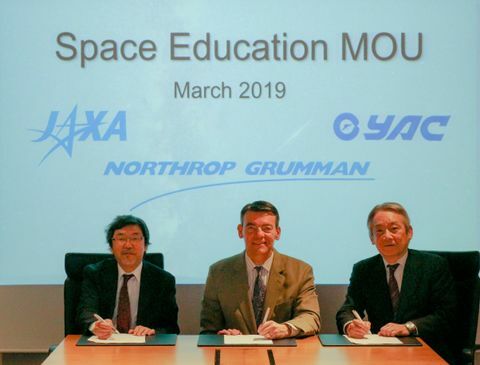 Northrop Grumman Mission Systems hosted Patterson High School and the National Academy Foundation at its Baltimore campus, and Porter Ranch Community School and Woodland Hills Academy at its Woodland Hills, California campus. The company’s Aerospace Systems sector hosted Van Nuys Manufacturing Academy and Will Rogers Middle School at its Redondo Beach, California campus. Students and elected officials were treated to a special tour of Aerospace Systems’ machining shop, microelectronics foundry, James Webb Space Telescope manufacturing bay, the F/A-18 assembly line and composites center. “The students came in really excited and got to work right away,” said Barbara Johnston, director of mechanics systems and test at Northrop Grumman and the lead organizer of the Redondo Beach event. "We’re getting them young enough so they can develop a love of science and engineering before they get older and enter the workforce,” she said. Later in the week, students from several local schools took part in a series of events known as Manufacturing Wars. The Charlottesville, Virginia, campus featured a friendly corn hole tournament between manufacturing teams. Eighth grade STEM students from Jack Jouett Middle School also assembled prosthetic hands and were then treated to lunch by VOICE, a Northrop Grumman employee resource group supporting individuals with disabilities. Rolling Meadows, Illinois employees were also busy. Monday featured different games hosted by six separate employee resource groups; these games included Operation, a Paper Folding Umbrella, and Aircraft Platform Identification. STEM students from four local high schools assembled prosthetic hands alongside Northrop Grumman technicians to be donated to the e-NABLE organization, and then received a one-hour tour of manufacturing areas. An Adopt-A-Highway project, a cookie distribution, and a community outreach coat drive for those in need were held. The week concluded with a wildly popular Family Feud game held for the third straight year. Four teams competed with operations program manager Steve Rymer standing in as host. Local science, technology, engineering and math (STEM) students were treated to a special tour of Mission Systems’ operations floor, LITENING pod manufacturing bay, ViperTM Laser assembly cleanroom and microelectronics lab.